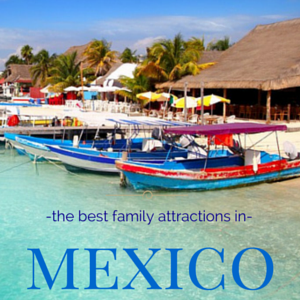 There are many family all inclusive Cancun resorts to choose from. Meals, drinks and entertainment are all included so you can sit back and relax while the kids are having lots of fun in the sun. 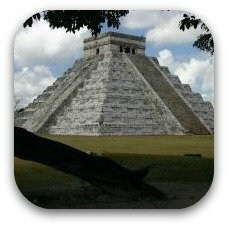 Travel to Cancun for lots of fun in the sun! Crown Paradise is a great Mexico all inclusive family resort. Mom and Dad can enjoy unlimited golf at Cancun Golf Club. They have lots of restaurants including several a la cartes! Water park with a pirate ship and 8 slides! Games room, mini golf and kids shows each night. The nightly entertainment for kids includes characters such as Barney and Little Mermaid! Kids club for ages 4-12. Suites that can sleep a family of 5 or 7. Beach Palace is a great option for a Cancun all inclusive family resort with plenty to do. There is lots going on in the evenings as well with funny shows and cultural shows. 3 pools including 2 on the roof. Family deluxe rooms can sleep up to 2 adults and 4 children under age 18 in adjoining rooms. Standard rooms sleep a family of 4. Sit back and enjoy a margarita while the children are at the kid`s club. A cell phone is provided to parents to stay in touch. Music fans will love this place! Kids club (ages 4-12) with lots of activities such as a kids pool with slides, trampoline, ,mini cinema and video games. Family deluxe room can sleep a family of 6. The deluxe rooms contains a separate room for the kids stocked with drinks and snacks just for them and a DVD player and video consoles. Standard rooms will hold 2 adults and 2 children (under 18). Gran Caribe is a great option for families. There are plenty of activities to join in for all ages. State of the art water park for the kids. Kids club is for ages 4-12 (open to 8pm) and has fun activities such as face painting and hula hoop competitions. Kids shows and mini disco. Teen hang out for the older ones that is open until 11pm where they can hang out with new friends and join in the activities. Family suites can sleep 5. Babies to teenagers will love it here! Don't miss the 18 hole mini golf with a Mayan ruins theme. If you eat a bit too much at the buffets you can always work it off at the fitness centre! 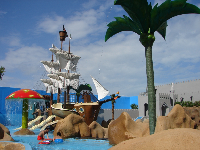 Kids water park featuring a pirates ship! Kids club (4-12) with lots of fun activities. Teenagers will love the teen disco. Standard room sleeps 2 adults, 2 children under 18. Family rooms can sleep a family of 5. The Hyatt Ziva is the ultimate in luxury all inclusive family resorts. Dine at one of 6 restaurants or enjoy the spa! Parents can enjoy the swim up bar and beach butler service. 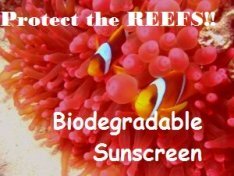 Club Med is an amazing family friendly hotel. If traveling with a baby you will be provided with a crib, stroller, highchair etc for use during your stay. Club Med it known for having top notch facilities for families. All Ritmo is great for those on a budget is has an awesome waterpark and lots for the family to do. At night the whole family can watch the entertaining live shows. Kids club for ages 4-12 with fun activities such as treasure hunts, sand castle building and arts and crafts. Water park for the kids with slides, giant falling water buckets and climbing structures. There is an area for toddlers and small children to play too. Organized activities that your teenagers can join in during the day too. Rooms hold a maximum of 2 adults and 2 children. 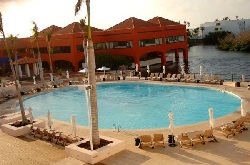 Oasis Palm Beach is a budget all inclusive family resort. We stayed here and it was one of the cheapest deals we had! It was great value, the kids club is really well done with lots of games, movie nights, mini discos etc. They will even feed the kids here. Mine never wanted to leave! The food gets a bit tiresome after awhile but they have a couple a la cartes which help and you can always try some of the restaurants in town. It you want to catch the Pirates Dinner Cruise it leaves from right beside the resort. Kids club for ages 5-15 with its own pool and lots of activities. Beach is shallow and calm. 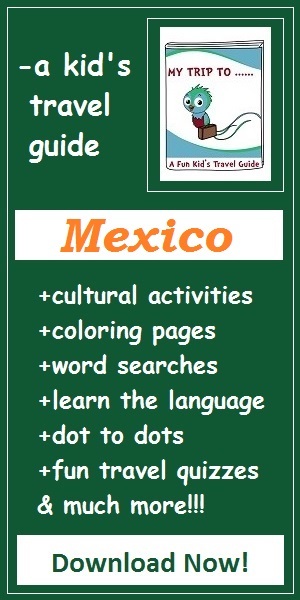 More Mexico family travel info! 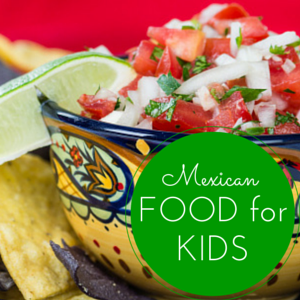 Scrumptious Mexican food for kids!